More than two-dozen U.S. Defense Intelligence Agency records, released through the Freedom of Information Act, contain vivid eyewitness accounts of the crushing of the Tiananmen protests — and describe the panic that erupted across China amid sharp disagreements between the country's military and political elite. The records have been posted on the website of the National Security Archives as the world marks the 25th anniversary of the Tiananmen Square protests. The declassified reports describe events on the ground in Beijing during and after June 1989. At one point an author comments, "Each day everyone seems to have a new horror story about China." • In the heat of the moment, rumors flew, including that leader Deng Xiaoping had died (he lived until 1997); without accepting the rumor as true, a cable noted that at a minimum there was "great chaos among the high-level military leadership." • Facing a "continuous stream of victims," doctors at a central Beijing hospital refused to turn over corpses to security officers when they discovered the bodies were being cremated before they could be identified. • Risking their own lives, pedicab drivers — hailed by one source as "the real heroes" — were critical to the effort to get the wounded and dead to medical treatment. • Some reports indicated military forces brought in from outside Beijing were spotted "laughing" and "shooting at random" at civilians. • Arrests of student protesters continued for months, to the point where the capital reportedly ran out of prison space for them. • Public reaction to the violence included a run on the Shanghai branch of the Bank of China that required the Army to airlift large quantities of foreign currency to meet demand. • Fears of "counterrevolutionary" retaliation abounded, including concerns that Chinese passengers planes might be bombed. 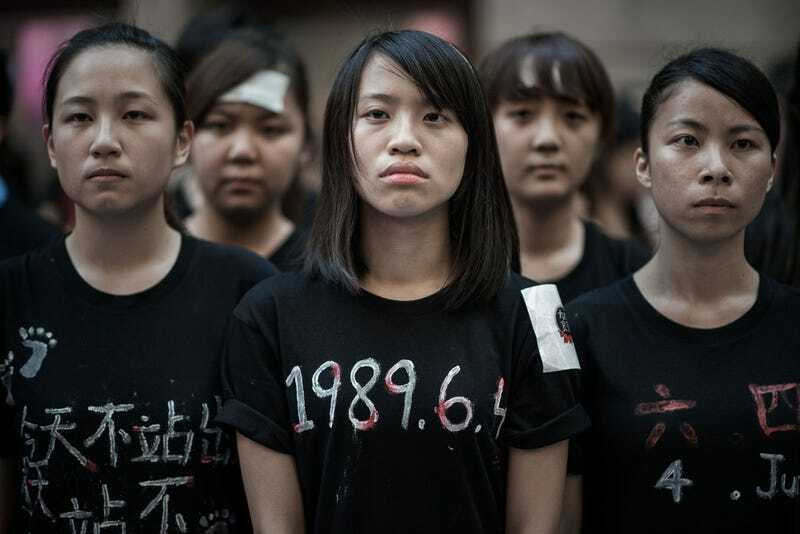 The question of whether China's ruling Communist authorities were united in ordering a bloody crackdown on student protests has been debated since 1989. Secret U.S. intelligence analyses concluded significant divisions existed; a CIA assessment from August that year described some high-ranking officers as being opposed to bloody force on principle while others were suspicious that hardliners were secretly planning a coup against party leader Zhao Ziyang. More declassified documents are available online at the National Security Archives.